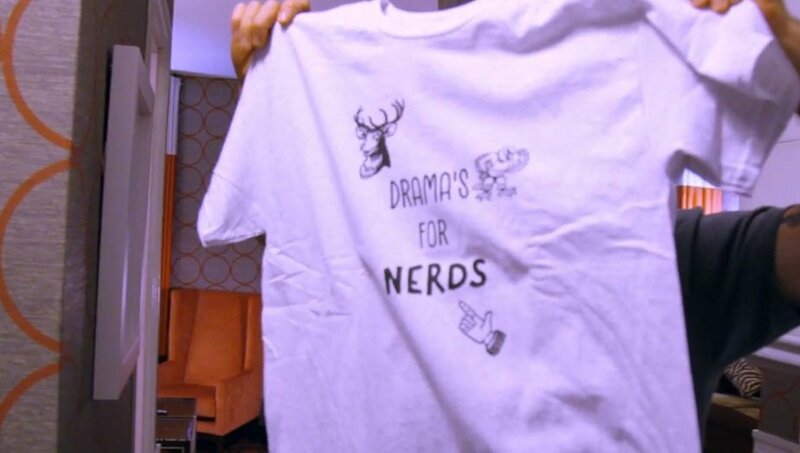 Drama’s for Nerds part 31 (because that’s what it feels like). This episode of Teen Mom 2 we get all the behind the scenes reunion footage of our Ladies of Class (aka Briana and Kail) screaming at each other. We are teased with numerous fights, lose Chelsea DeBoer midway through, and watch Briana’s unmentionables get blurred, which seems unnecessary since she’s showed it all to the world on Snapchat. Last night was the first Teen Mom 2 reunion episode of the season and featured Jenelle Evans and Leah Messer, the moms who need the most help. Too bad the doctor in the house – Dr. Drew Pinsky – didn’t offer them any guidance. Rather, he avoided any deep discussion with them and tried to convince everyone that David Eason has been a stabilizing force. Hang up the white coat, Dr. Drew, you’re done. Perhaps the next time Dr. Drew presses Teen Mom 2 star, Leah Calvert, she will just keep any info she may have to herself. Or at least throw herself under the bus, and not her ex-husband! 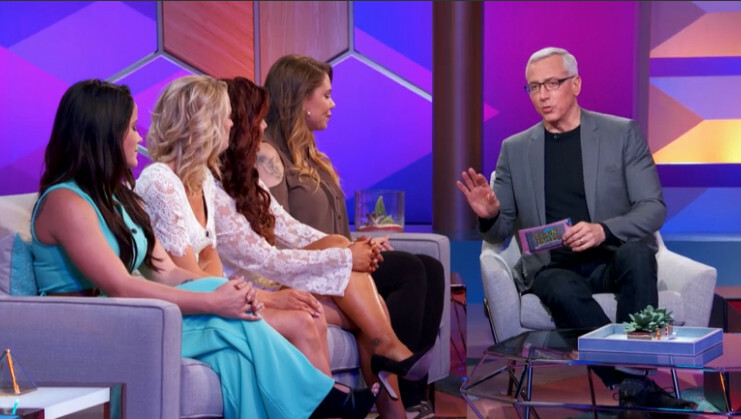 On the first part of the Teen Mom 2 reunion, Dr. Drew asked the girls if there was anything that they ever kept hidden from producers. Most of the girls — smartly — denied hiding things from MTV's prying cameras. Except for Leah Calvert. After hemming and hawing and checking with her husband, Jeremy, Leah decided to drop a bomb about her and ex-husband Corey Simms' relationship up until the week she was set to marry Jeremy. It's Dr. Drew time… I hope you stretched your eyeballs because they're about to be doing a lot of rolling. And if you're wearing false eyelashes because you want to look just like your favorite Teen Mom 2 star, I suggest you take them off for fear of injury during this reunion. The set this year is really something – don't you love the giant TM2 letters with glittering lights. Things begin with all four girls on stage. Jenelle Evans has been taking hair tips from Chelsea Houska (but Megan is her terrible hairsome clone!) – same color red, same teased style, other than that she looks very pretty and natural. Dr. Drew asks Jenelle how Jace is. She answers, "Ummmm… who? Oh yeah… ummm… oh he hasn't been paying rent so yeah!" Chelsea's eyelashes are a travesty. Mind you, this is her profession… Lord help South Dakota.